Sleek and aggressive lines characterise the new CCN 102 ‘Flyingsport. CCN have taken the concept “Flyingsport” and made it a reality. 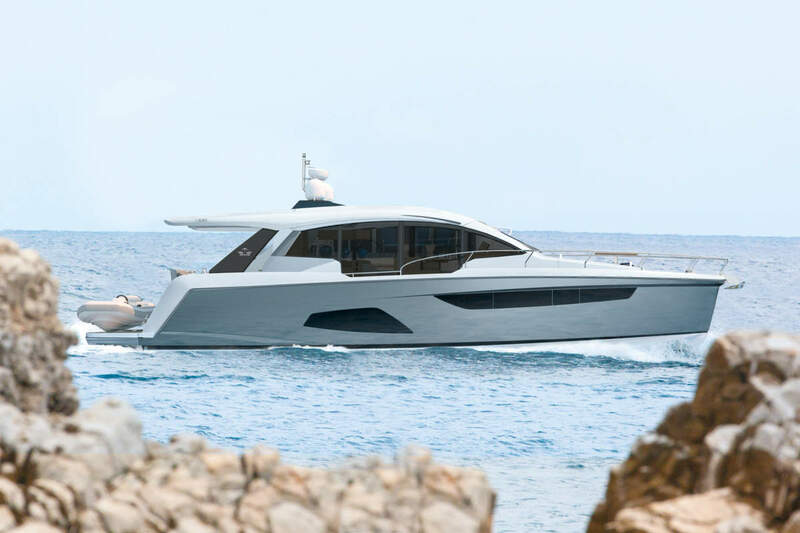 Combining the convenience of the flying bridge with a material feel of speed, sportiness and the perfect backdrop of the open sea, embracing a subtle mix of elegance and style, functionality and livability. The new CCN 102 will be on show at FLIBS2015, so it’s a great opportunity to get up and close to the new arrival. 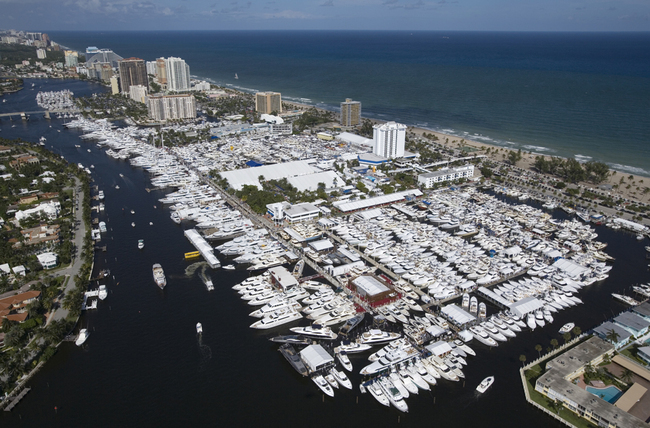 Fort Lauderdale, Florida, the “Yachting Capital of the World” will host the 56th Fort Lauderdale International Boat Show on Nov 5 – Nov 9, 2015. Show exhibits range from yacht builders and designers to exotic cars and brokerage yachts. A wide variety of boats and sea vessels will be on display including runabouts, sportfishers, high performance boats, center consoles, cabin cruisers, flats boats, skiffs, express cruisers, sailing yachts, motor yachts, bowriders, catamarans, ski boats, jet boats, trawlers, inflatables, canoes, and extraordinary superyachts. 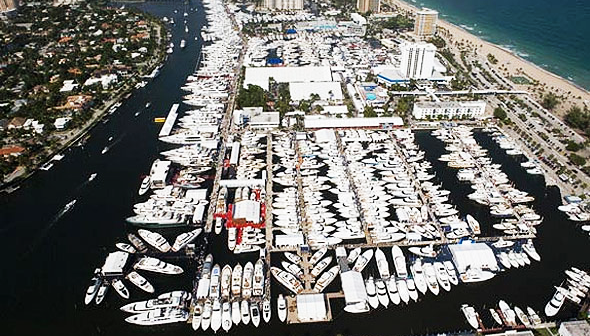 Entering its 55th year, the Fort Lauderdale International Boat Show® (FLIBS), the largest in-water boat show in the world, is set to take place from Oct. 30 through Nov. 3, attracting an international audience of thousands of marine enthusiasts to the “Yachting Capital of the World” to experience the single best showcase of marine products and accessories on the planet. Each year, show organizers strive to deliver new, exciting features to enrich the overall show experience and engage audiences. WSB takes a look at the top 13 attractions set to wow this year’s visitors. This year the world’s largest showcase for Super and Megayachts afloat will be the biggest ever, with an expanded exhibition area and berthing for around 110 Superyachts in the Port Hercules of Monaco, the WSB team have taken a trip down to Monaco to check out this playground of super and mega yachts. The 2014 London Boat Show, Europe’s first boat show of the year, drew to a close yesterday (Sunday 12 January). The Show, which celebrated its 60th anniversary, presented the best of the marine industry and good quality business was conducted at a time when the £2.905bn industry is demonstrating optimism and confidence for the months ahead. 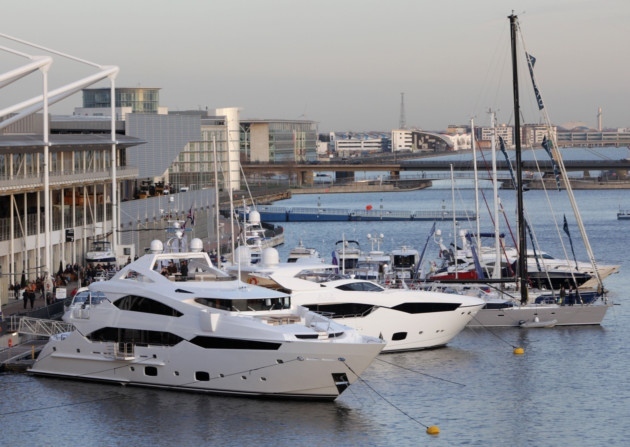 A total of 88,593 visited the London Boat Show at ExCeL across the nine days*. 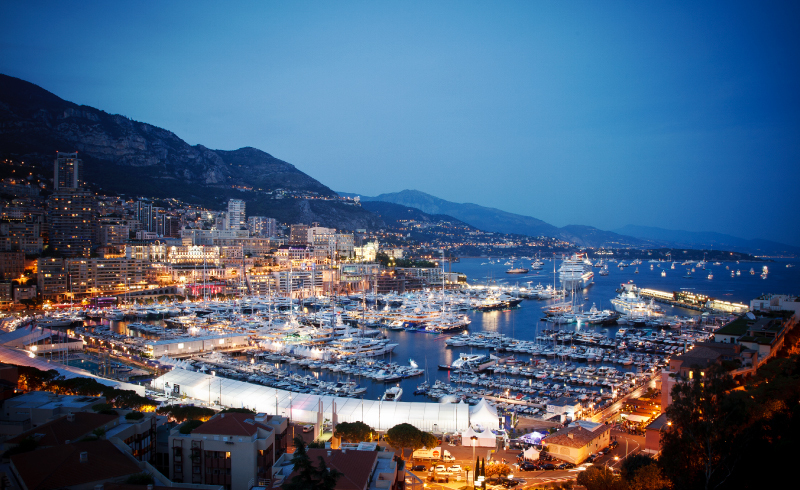 Now in its 23rd year, the Monaco Yacht Show will again serve as the world’s most amazing showcase for spectacular yachts, brought together in one place to enchant global superyacht enthusiasts. From September 25th to 28th, over 100 of the world’s most significant luxury yachts will be on full display in Port Hercules, either available for charter or being exhibited to promote a shipyards’ expertise in new builds. WSB takes a look behind the scenes of this prestigious show.